Is Vitamin D Deficiency Linked to Migraine Headaches? Migraine is one of the most common health afflictions in the world, affecting about 15% of the population. Women are more likely than men to suffer from migraine pain. About 2% of adults suffer from chronic migraine symptoms which can severely decrease quality of life and productivity. Migraine is one of those problems that still eludes modern medicine. There are symptomatic treatments for migraine that offer some patients relief, but the underlying cause and origin of these debilitating headaches are still not known. Now new research1 from South Korea shows that Vitamin D deficiency might play a role. In this study, the authors looked at 157 adults with migraine who presented at their clinic at the University Hospital of Hwaseong, Korea. The study looked at patient symptoms, patient demographics, weather, and serum Vitamin D levels. The average age of the migraine patients was 37 years old and 75% of the patients were women. These results are interesting because previous research2 has found that migraine symptoms tend to be more frequent in the darker days of winter and less frequent in sunny, summer months. 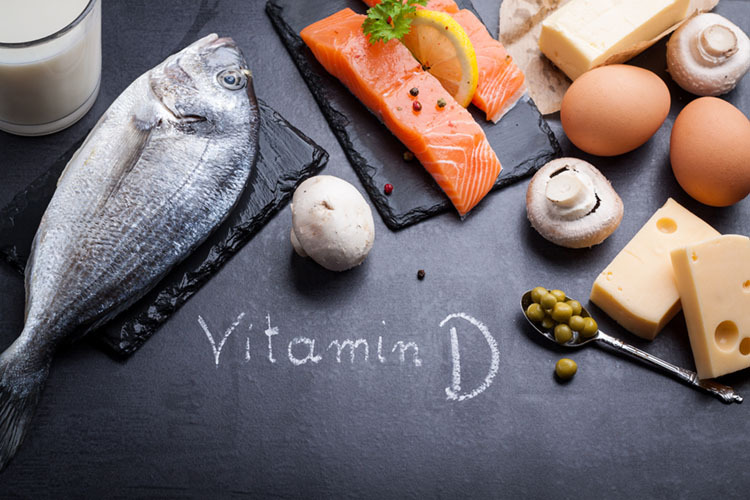 While the exact mechanism of migraine is still unknown, this study and other research indicates that Vitamin D deficiency might play a role. Song TJ, Chu MK, Sohn JH, Ahn HY, Lee SH, Cho SJ. Effect of Vitamin D Deficiency on the Frequency of Headaches in Migraine. Journal of Clinical Neurology 2018 Jul;14(3):366-373. doi: 10.3988/jcn.2018.14.3.366. Prakash S, Mehta NC, Dabhi AS, Lakhani O, Khilari M, Shah ND. The prevalence of headache may be related with the latitude: a possible role of Vitamin D insufficiency? Journal of Headache Pain. 2010;11:301–307.